Mistake 1: Your ideas are vacuum-sealed. As a blogger, you would know that it is important to write about an industry, hobby, or specialist area that you are familiar with. As a result, you will have a variety of great ideas. While the ideas may come at random moments, the ideas themselves should never be random; they need to have a purpose. Just because the idea may seem like a good one in general, you need to decide if it will aid toward the purpose of your blogs, and indeed, the purpose of your company. 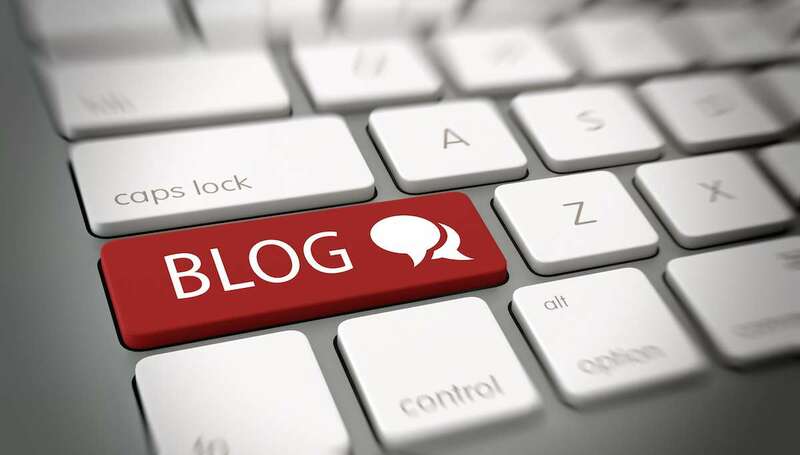 When writing blogs, make sure you are addressing the goals set by your organisation. As a content creator, you have the power at your fingertips to help enlighten and persuade your readers to learn more about your company. Mistake 2: Your writing is too stiff and academic. I will admit that this was a hurdle I had to overcome when I become a copywriter. Spending three years studying at a university level has taught me how to write academically. But writing with tone, personality, and creativity was something that took a lot of time and practice. When bloggers like you and I first start writing, it can be a little challenging to find the ‘creative flair’ needed to write an engaging and often entertaining post. The best way to approach this new style of writing is to think of it like a conversation you are writing down. Talk aloud to yourself as you are typing, and really get into the moment! By being creative and conversational, you have the ability to compel your readers to continue right until the end, to the all-important call to action. Mistake 3: People don’t care about you as a writer. It may seem harsh, but it is very true. As a blogger writing for an organisation, you need to understand that readers are not arriving at your blog to read about your stories, or your interests. They want to know more about the organisation, the industry you operate in, and what they can learn from the content. People will not search for your name as an author, but rather they will search for keywords that will trigger your blog. This is known as SEO. With that said, it is still important to remember your own, conversational voice, as mentioned previously. Mistake 4: Your writing is too extensive – make it concise and specialised. It can be easy to fall into the trap of writing far too extensively when you first start out as a blogger. You can get excited by the possibility of sharing everything you know with your valued customers. But sometimes, they don’t want to know that much, or they don’t even care. So keep your content tight! Do not select topics that are too broad. Really exemplifying your expertise of specific topics is crucial to getting your first few blog posts really polished and professional. Mistake 5: Get into the habit of using accurate data. Utilising data to support the points you make within your blog is an excellent way to encourage authenticity among your readership. Use what’s at your disposal and don’t be afraid to share your insights; you are a blogger after all! Your organisation should have access to interesting data collected from your clients, projects, or industry sources, which may become useful to back up a point you’ve made within your blog. So use it! Mistake 6: Are you plagiarising? Don’t be a copycat! I’m sure in school you would have been told time and time again to not copy others’ work. The same rule applies in the real world. Make sure that your writing is your own, that your ideas are true and original. Sure you can be inspired by something else you may have read, but do not directly copy from that. Many bloggers think that as beginners, they are somewhat excused from this practice. THEY ARE NOT! Ensuring your content is authentic and genuine will reflect highly of your organisation to your readers and customers alike. Google has ways of tracking plagiarism, therefore if Google can pick up on the fact you have copied something, your website may be penalised in search rankings as a result. Mistake 7: Remember to edit your work. Just because your blog is finished, does not mean it is ready for publishing. Remember to go back and reread your blog, and make any edits where necessary. There are plenty of helpful tools online to make this process a little easier too. As a general rule, first drafts are not always our best work. That’s why it is so important to check your piece before you publish. Look for typos, poor sentence structure, spelling, grammar, punctuation, and layout. The blog must flow in order to keep readers engaged. Mistake 8: Ensure you are blogging consistently. As an important content piece within the inbound marketing framework, blogs have the great potential to drive traffic to your website. Therefore, posting once in a blue moon will not deliver consistent results to growing your website’s traffic. As a blogger, you must write and post consistently. This will not only boost your company’s search ranking online, but will provide regular content to share across social media, and your readers will not be kept waiting for their weekly / fortnightly / monthly content. Mistake 9: Remember your call to action. What blog would be complete without a call to action? None! That is why it is crucial you give your readers a compelling reason to act, whether that be to subscribe to your newsletter, download your eBook, share this blog with their friends, or leave a comment to interact and engage with your organisation. To find out more about the importance of effective blog writing and content creation, download our FREE eBook, ‘Inbound Marketing Methodology’ here. See what we did there…? Now it’s your turn.